"We are happy to announce that the meats served in our restaurant are hormone and antibiotic free, the vegetables are fresh and we now have gluten free options on the menu." 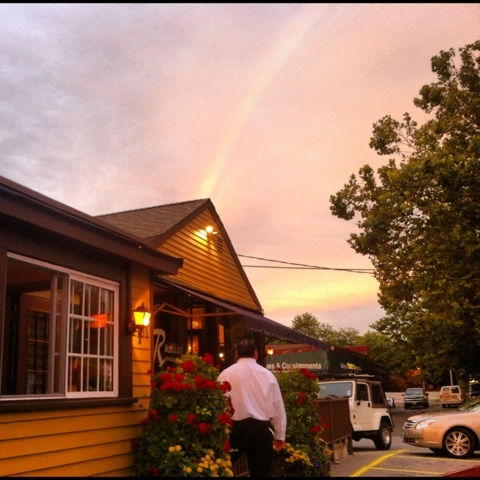 Pot of gold at the end of the rainbow! 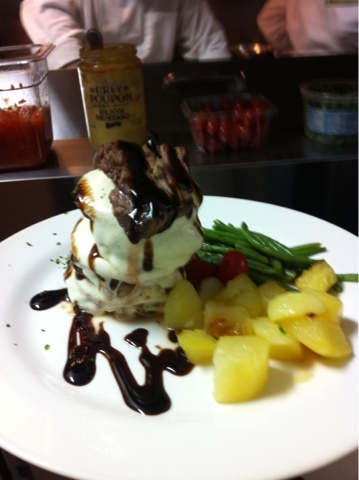 Thinly sliced roasted veal loin, topped with tuna, capers, and mayonnaise sauce. Black linguine sauteed with sea scallops, yellow and red roasted sweet peppers, extra virgin olive oil, garlic and fresh wild arugola. Soft shell crab, capers, shallots, herbs, and a touch of limoncello. Grill veal chop, topped with, sauteed onions and tomato. Portobello al gorgonzola over mix salad. Farffalle Carbonara - olive oil, panchetta, parmegiano cheese with a light egg infusion. Snapper pan seared with shallots, caperberries, lemon zest in a gin sauce. Pork chop pan roasted with herbs in white wine sauce. Prociutto, figs and burrata served with balsamic fig glaze. Farffalle sauteed with crab meat zucchini in a spicy tomato sauce. 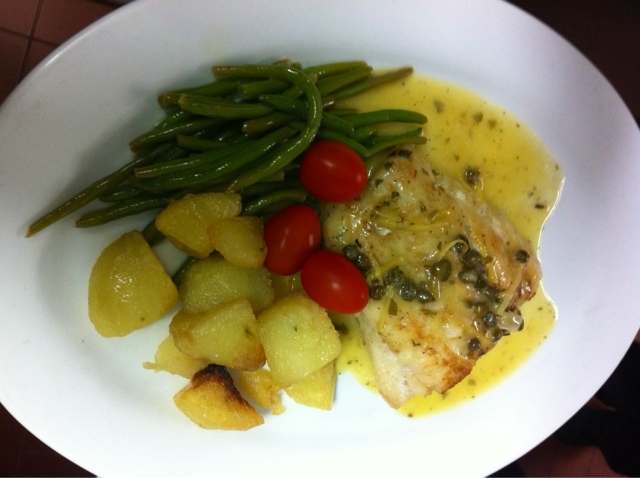 Orata Livornese -Bass family / Mediterranean fish, served with capers, olives, onions, ﻿fresh herbs and white wine sauce. 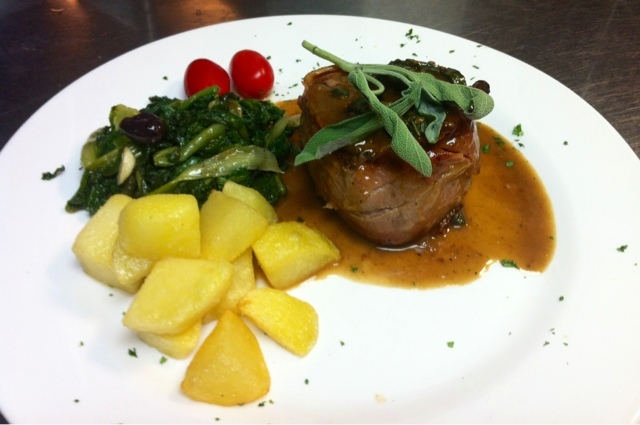 Costoletta di maiale al rosto- Roasted pork chop with porto bello. sweet peppers, and a touch of balsamic vinegar. Linguini Veraci is one of my favorites (one, because I have many heheeh). Great way to end a hot summer day! 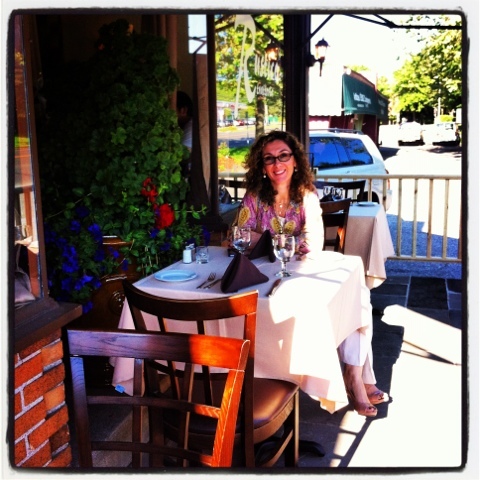 2 of us went for dinner last week-- to celebrate our anniversary. Called ahead and got a nice window seat. Very pleasant place, simply decorated, service very good, knowledgeable, friendly and attentive. Food was excellent - I had eggplant for starter and osso buco for main course, my partner had salad for starter and the fish special for main course. 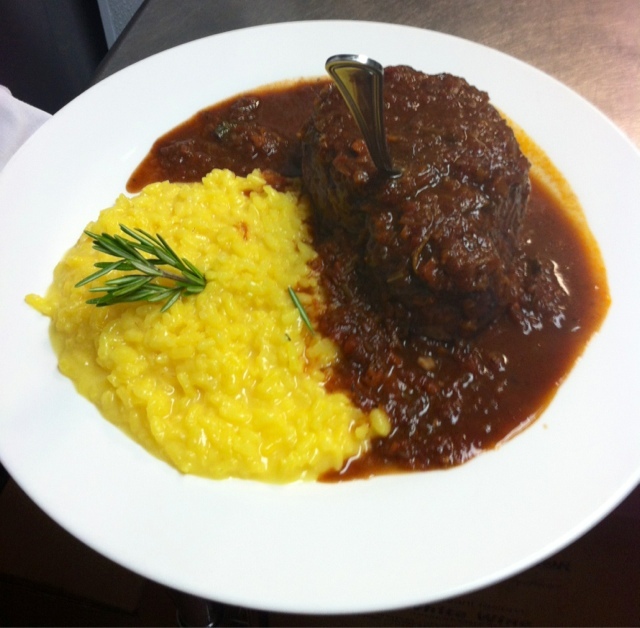 In my experience if they can get osso buco right, it a good sign and mine was delicious, as were all the other courses and our shared desert. Add a nice bottle of decent red for $25 (there are several decent choices at this price point) and based on this first experience we would go back. 4 of us went for dinner--pleasant place, service good, though sometimes abit slow. Buit very attentive. Decor simple but okay for an Italian restaurant. Food excellent-all 4 different man dishes were enjoyed fully. Would go back. A bonus--a ist of several red and white wines all for $25--chose an Italian red and it was very good. Our girlfriends group dined here last night. Although the space is small it was comfortable enough for us to converse without feeling crowded. 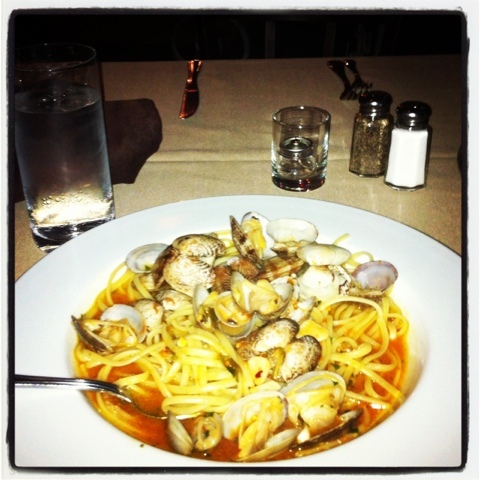 Some of us had the specials, most of us had a pasta dish. The portions were quite large. 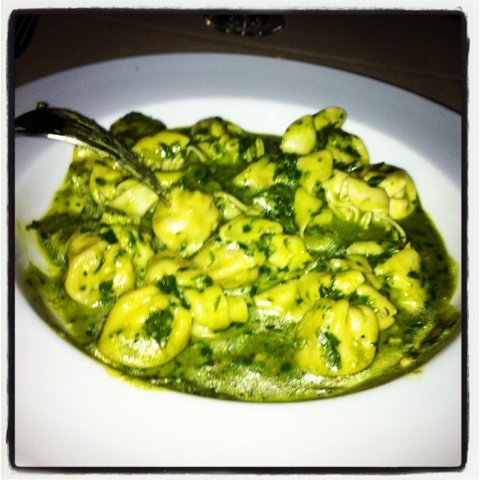 I had the fresh orechiette with dried figs and artichoke hearts drizzled with black truffle oil. They could have gone easier on the oil as it was very rich. I certainly brought the remainder of my meal home for lunch the next day! The waiters were great -- courteous, offering entree recommendations and filling our water (and wine) glasses constantly. 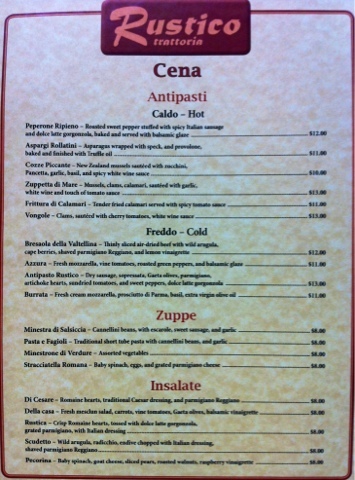 I recommend you try this place, even though it is yet another Italian in the Westport neighborhood. thought it would be hard to replace Panne Vino but Rustico is great. 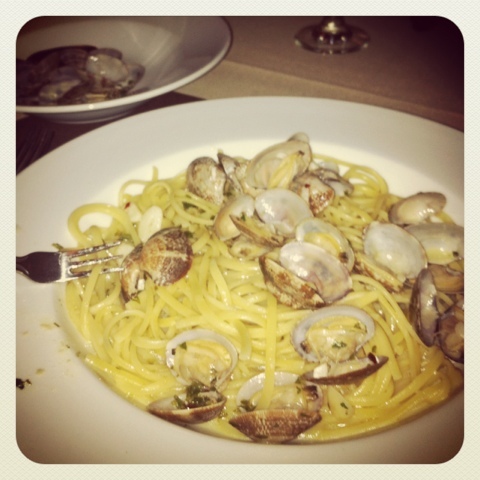 the pasta with lobster, veal with prosciutto and shellfish & linguini were all perfect. 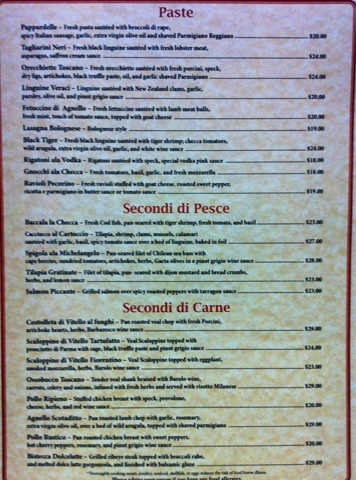 the $25/bottle wine list is great....luv'd the dolcetto. service is outstanding. and there weren't a million little kids eating pizza like Tarry Lodge. make a new year's resolution to visit!! 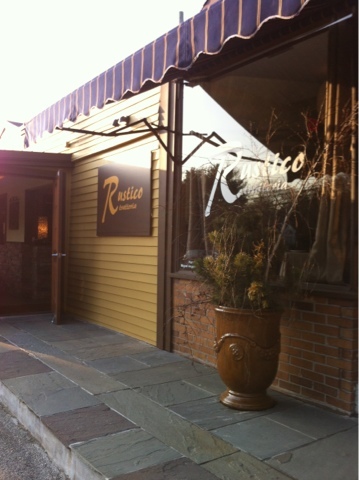 My friends and I recently dined at the newly renovated Rustico Trattoria. 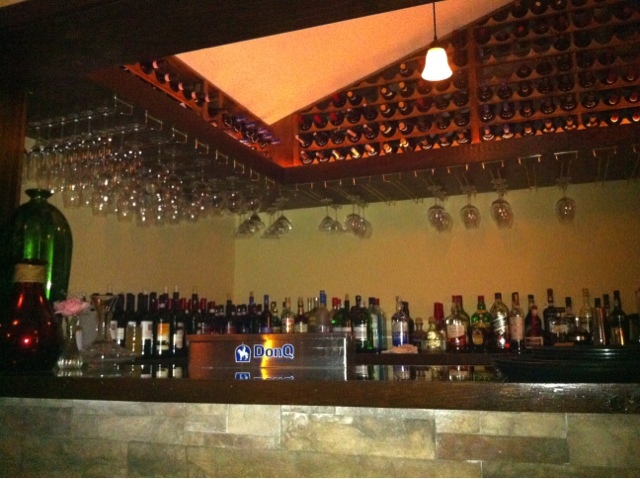 The atmosphere is intimate and friendly. You feel welcome from the moment you enter. 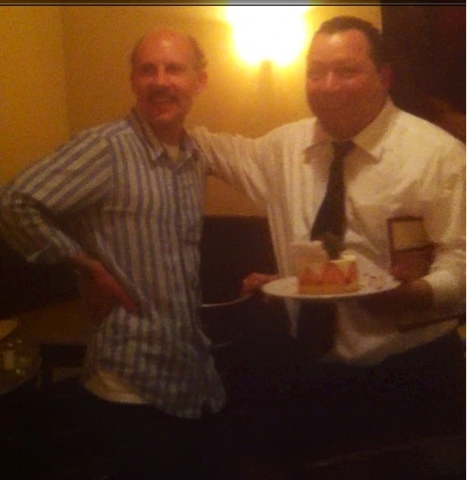 Our waiter Jose greeted us with a smile, and was very cheerful, attentive and informative. The food was amazing! 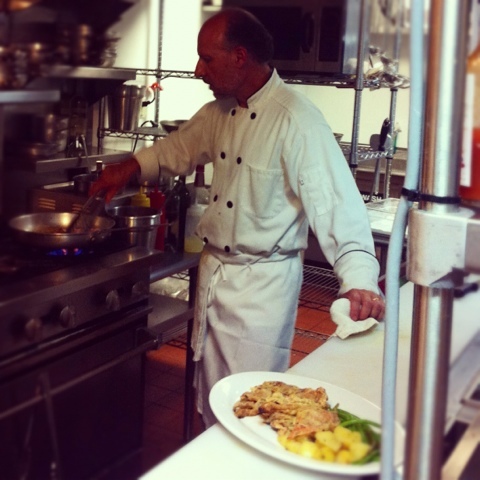 Miguel is a truly talented chef, and we are so happy to have him in the area. 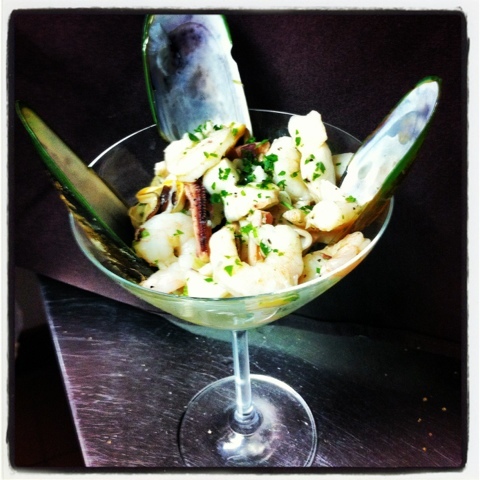 The Zuppetta di Mare appetizer was fantastic. 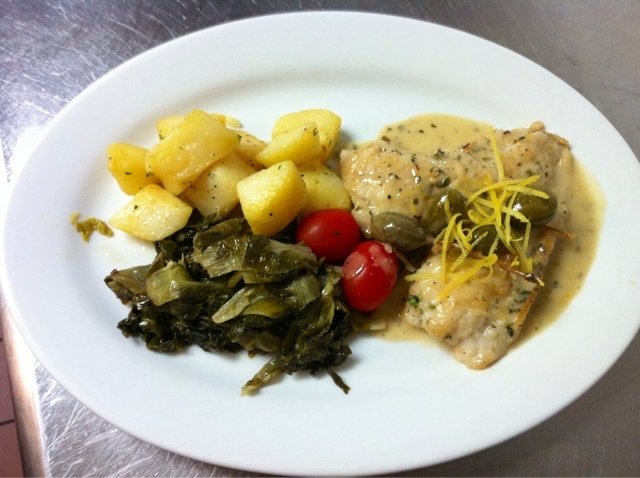 I had the Baccala la Checca cod dish, it was cooked to perfection. 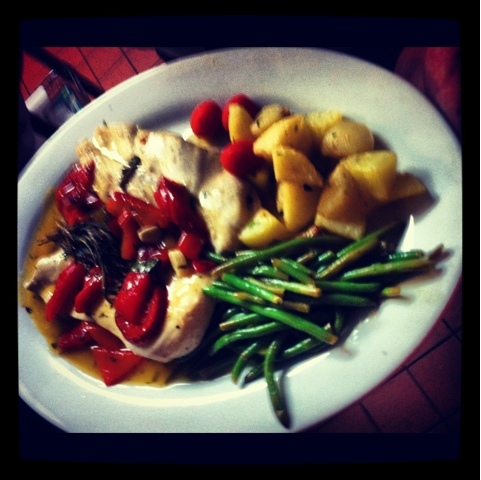 My husband had the Spigola ala Michelangelo sea bass, which he loved. 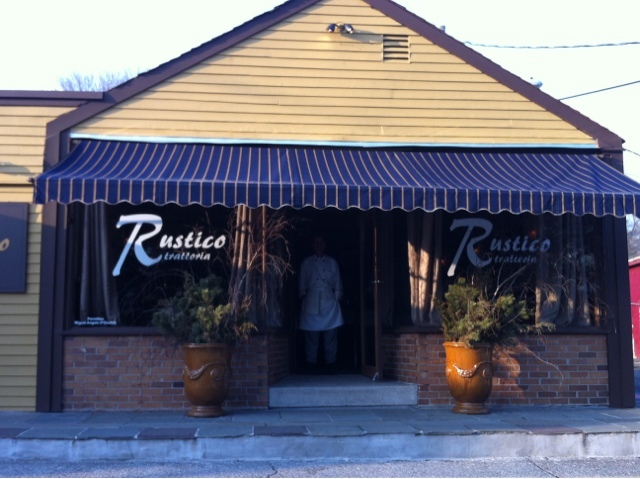 We highly recommend Rustico. After weeks of tender loving care they are finally beautiful !! 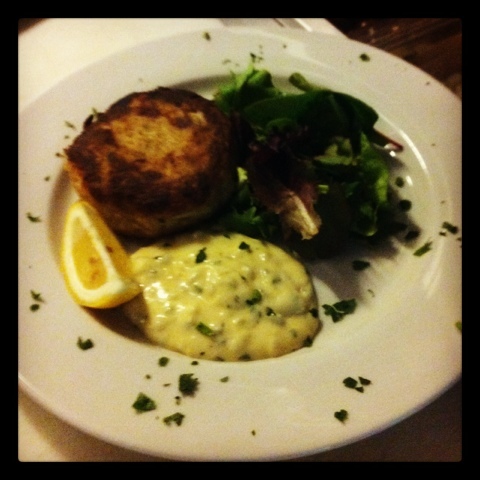 Polpette do Grancchio- crab cake served over mix salad and tartar mustard sauce. Like Andrew Zimmerman says "If it looks good EAT it". Questa qui e la foto de lo cuoco. E impossibile lo prendemmo. Chef Miguel is not just a chef but a restaurant owner and with that comes many responsibility, in which he cares cares alot for. I had to eat the same pasta as last night, it was just too good to pass on. 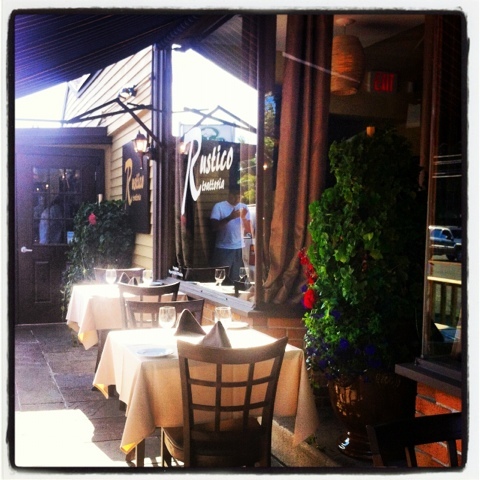 This is what summer looks like at Rustico Trattoria, now just add a glass of wine with a delicious pasta and your all set. We like to thank the city of Westport for making this happen. No reservation, first come first served. The pasta special is so delicious!! Perfect for the summer. I ate the whole thing. 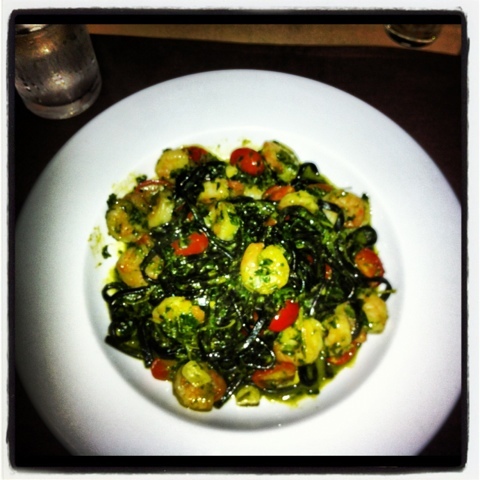 Taglierini neri, homemade fresh basil pesto sauce with shrimp and grape tomatoes in a touch of white wine reduction. 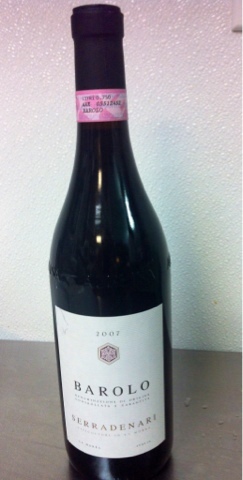 Congratulations to Greg for wining the bottle of Barolo. 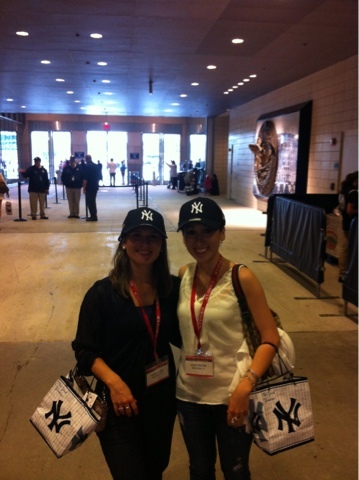 Today my sister and I went to the food show at Yankee stadium and the food was delicious and we want to thank all the chefs that prepared all the delicious samples. It was a great experience to try out all the new products. 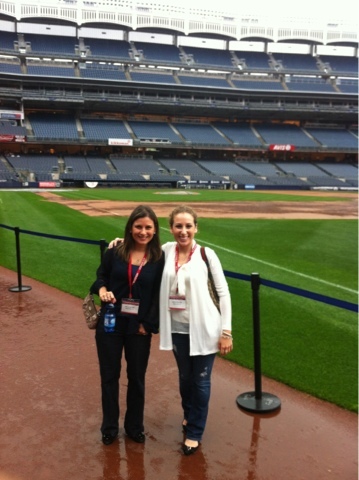 Especial thank you to all the Yankee stadium staff that made today possible. Today was a great day! 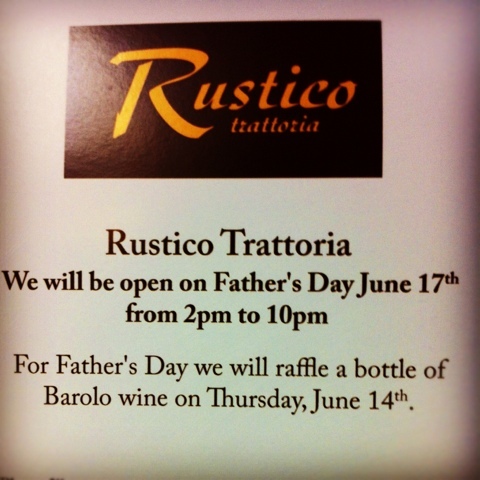 Fill out a card and enter a chance to win a bottle of Barolo for Fathers Day. IDine is a website that you can earn benefits for every dollar you spend at Rustico Trattoria all you have to do is sign up. We have many members that use IDine; its quite popular. Take a look. 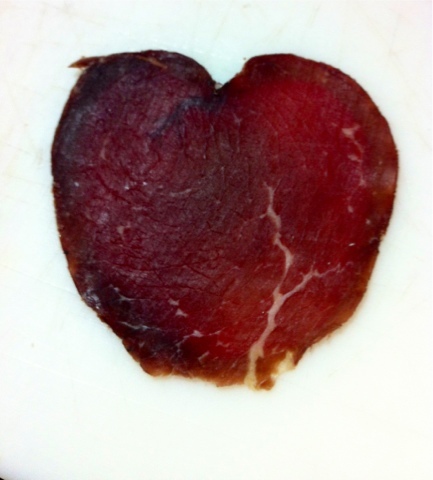 While cutting a bresaola for the Bresaola Della Valtellina our sous chef Lucas D'Onofrio happens by chance to cut a perfectly shaped heart. The pesce special looked so good tonight it deserved a picture. 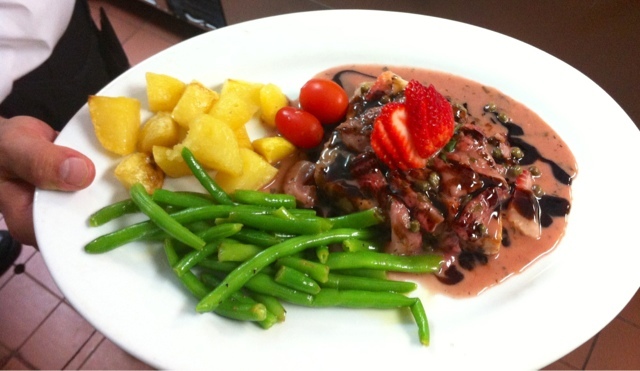 Spada alla fragole- pan seared swordfish sautéed in a Pino grigio sauce , strawberries, capers, finished with fresh herbs and aged balsamic glaze. Sometimes we don't recognize how much hard work and effort our mother puts into raising us, today is the day that we thank her for all the times she gave us everything she had. We will be opened on Mothers Day from 2:30pm until 10:00pm. We will be opened on Easter at 1pm!!! Reservations are recommended. Customer email !! The best email. I felt it necessary to drop you a note to let you know what a wonderful meal we had last night. As you may remember, my husband and I sat at the table by the bar celebrating his birthday. 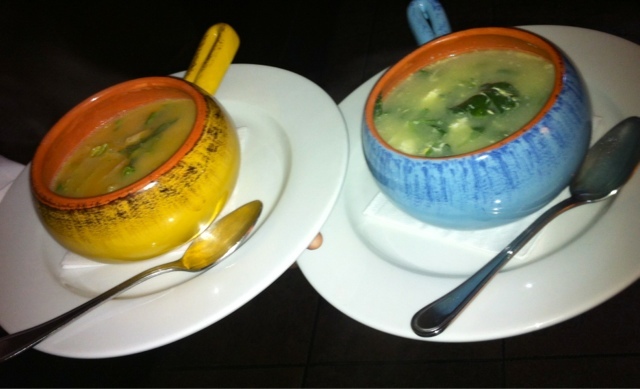 We eat out often and enjoy great food and everything we had last night was incredible! We had the stuffed pepper (I could eat this everyday), the orecchiette toscana pasta (which was unbelievable and thanks for the added truffle oil) and the rib eye - perfect! Continued luck and expect to see us regularly. Keep the food and service the same.. we wouldn't change a thing! 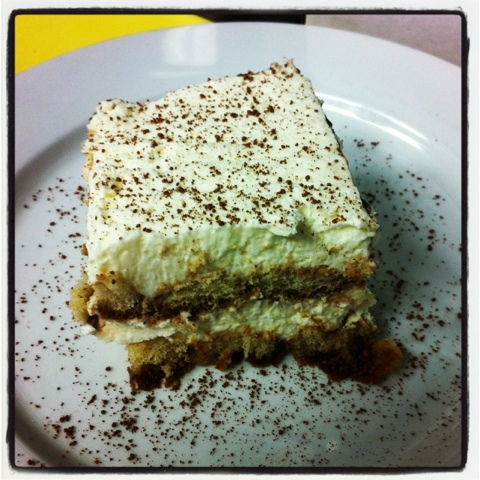 PS - thank you for the take home tiramisu - we ate it as soon as we got home although we were stuffed - that was great too! 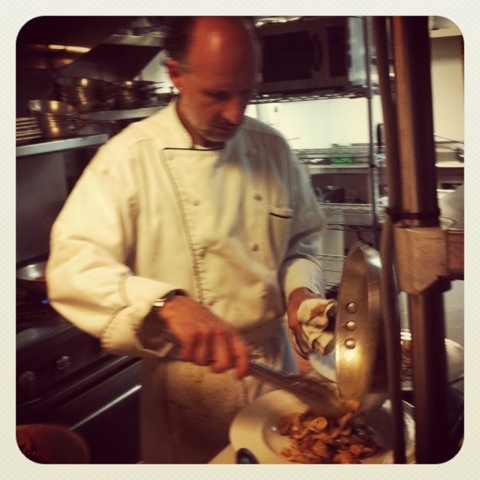 Happy birthday to our executive chef Miguel Angelo D'Onofrio !!! We absolutely LOVE your food. 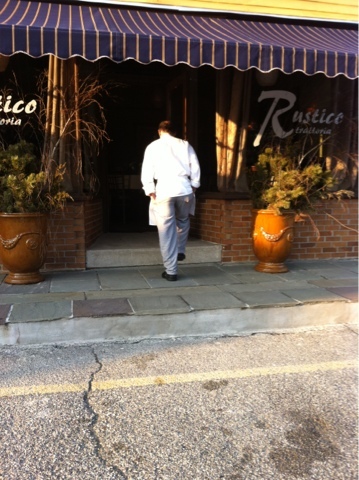 At Rustico Trattoria we strive to be the best in both the kitchen and on our dinning room. So, it is very unfortunate to hear that we have not met some customers expectations. For those customers I apologize for not exceeding your expectation, and we will be sure to take your comments in consideration in perfecting our staff. My family (The D'Onofrio's) and I have worked very hard to get to the place that we are today, our meals are made with love and care and our wines are handpicked out of millions of wines to meet our customers taste buds. Our executive chef Miguel D'Onofrio handpicks fresh ingredient every morning before the restaurants opens, and everything is made to order. 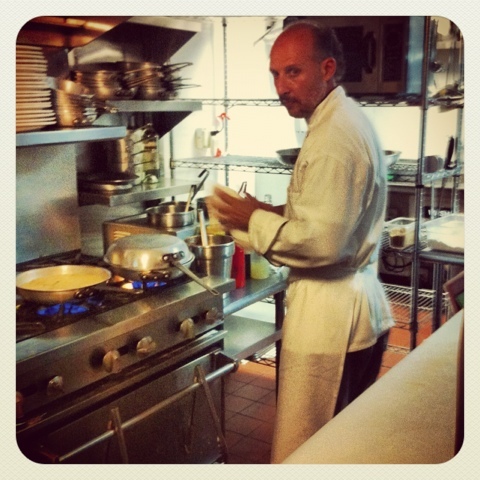 If you walk into his kitchen you will find that it is impeccable, from top to bottom not even a smudge. You are welcome to come and see for yourself the chef loves visitors. 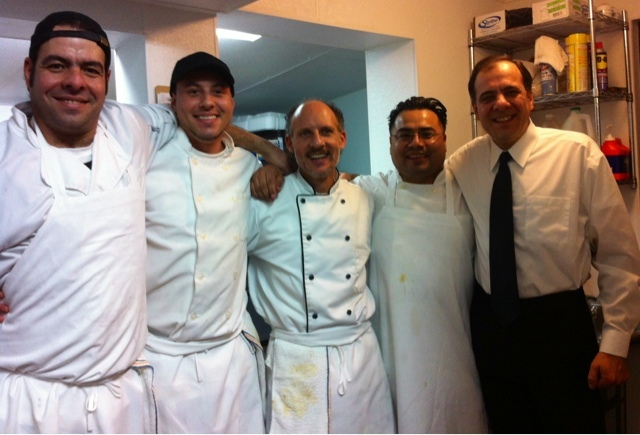 Most of our staff has been working for us for many years and many of them are family. 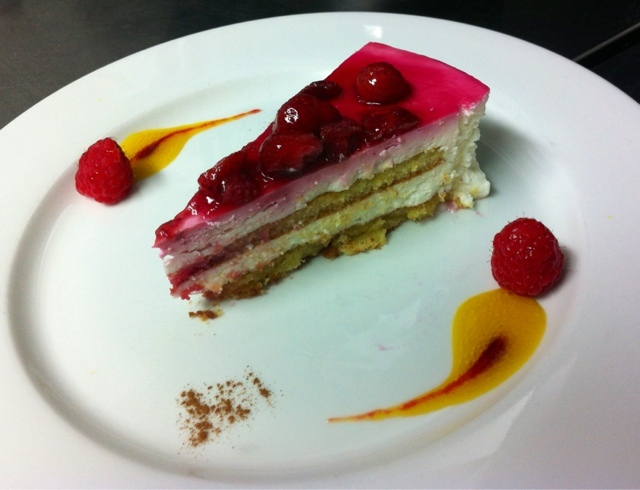 Chef Miguel's creations are purely creativity! His inspirations comes from a long line great Italians cooks from both his mothers Spain side and his fathers Italian side. Thus we treat our customers like they are our family, for many whom we have known for many years now and are like family. Keeping in mind that we are nevertheless a Trattoria. Chef don&apos;t run away from me! Goodbye winter, and hello spring/summer. 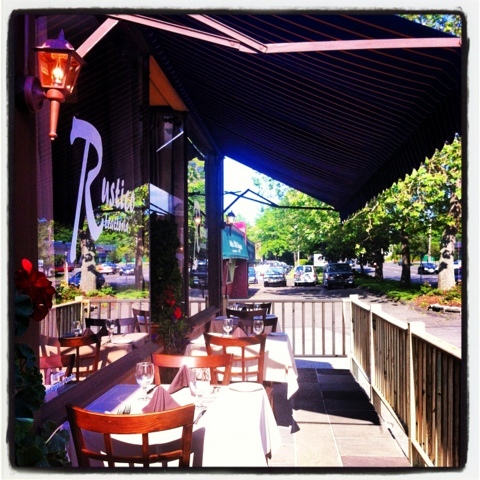 Rustico trattoria understand that when the warm weather comes everyone wants to enjoy the sun. For that being said Rustico Trattoria will be working with the City of Westport in order to be allowed to serve table outside. We've had a couple customers tell us they have seen an article on the newspaper rating us. If anyone knows the link or the name of the newspaper please comment or email me, because I been looking everywhere and yet no luck in finding this article. When Miguel was a boy, he had two dreams: one was to live in the United States, a country that he adopted as his own, and the other was to become a Master Chef. Cooking for Miguel brings back very special memories. When Miguel was a child, Miguel and his father, Mr. Angelo, spent a lot of long fun vacations and weekends at a very dear friend’s summer home. The house was a special bonding refuge for Miguel and his father. This summer home was a very special place where they gathered together with families and friends to eat fabulous meals and have fun. Miguel loves for cooking started very early in his life. 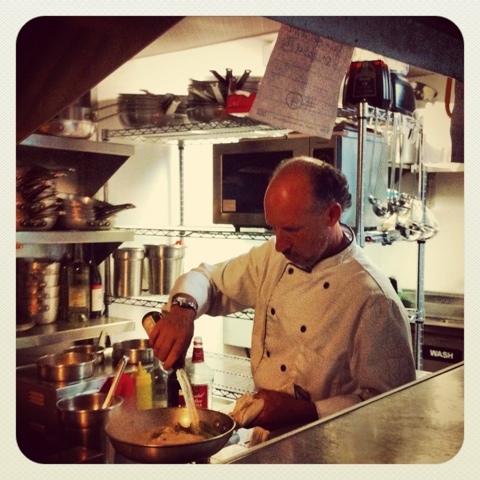 Mr. Angelo, better known as Anrrelijo, was the cook of the group. 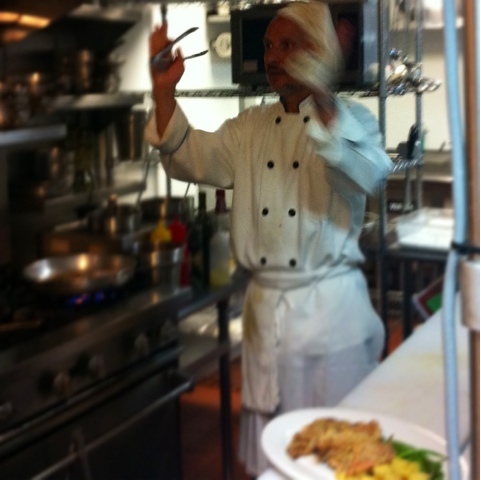 Miguel was always around his dad at the kitchen and helped prepare the delicious meals that everyone enjoyed. Mr. Angelo talent came from his family that immigrated to Brazil from Benevento, Italy. When Miguel was 24 years old, he married Gizeli Domenichelli Rossi. 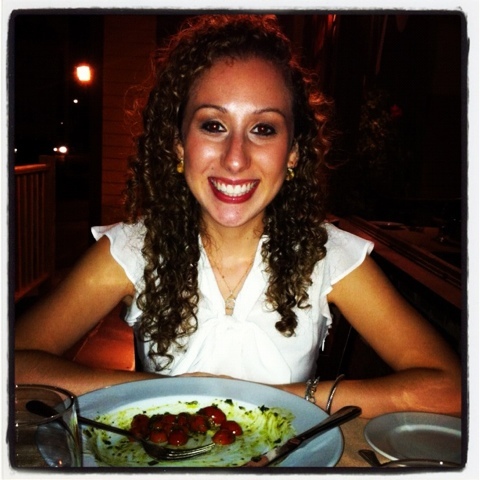 Gizeli’s family wasn’t different from any other Italian family. For them gathering around the table with friends and family and enjoy a delicious well-prepared meal was, and still is, every Sunday routine. After Miguel and Gizeli married, they decided to move to America, the land that they chose to live together and the place they choosen to raise their kids and nurture their family. Miguel’s first job in United States was the famous 5 stars restaurant, La Strada, in Greenwich CT which was owned by Mr. Mormando. 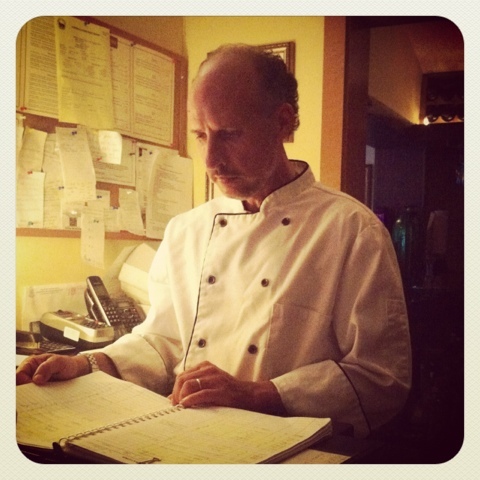 At La Strada, Miguel made many friends that would last a lifetime. 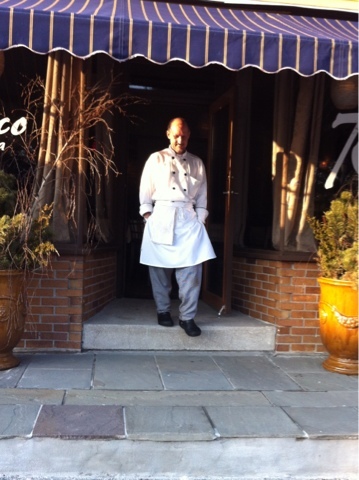 Miguel worked at the time for the famous Italian Chef Joseppe (Joseph) Capobianco. Joseph, one day after having observed Miguel’s wiliness to learn, asked Miguel, “Miguel do you really want to became a good Chef?”. Miguel answered: yes of course, this is my dream. Joseph replied, “…so create every dish with love from the heart”. The only ingredient that Miguel never missed in a dish is love. 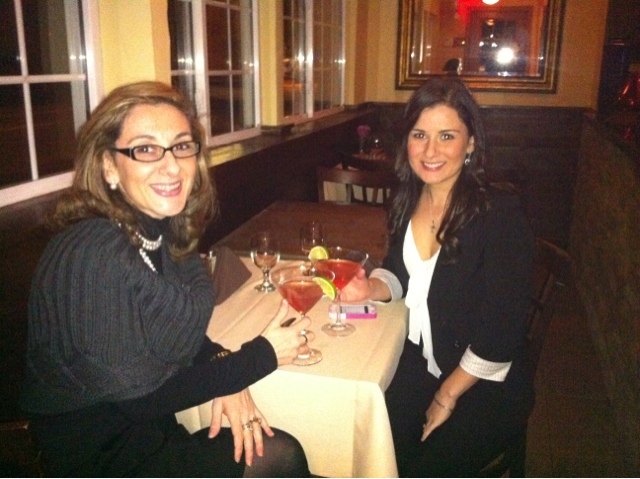 Unfortunately, a few years later, after the building was sold, La Strade – Greenwich was closed. Mr. Mormando didn’t want to lose Miguel, so he offered Miguel to move to Chicaco to work for him in the other LaStarda restaurant. Mr. Mormando even offers Miguel his own place to stay until he could get himself settle. 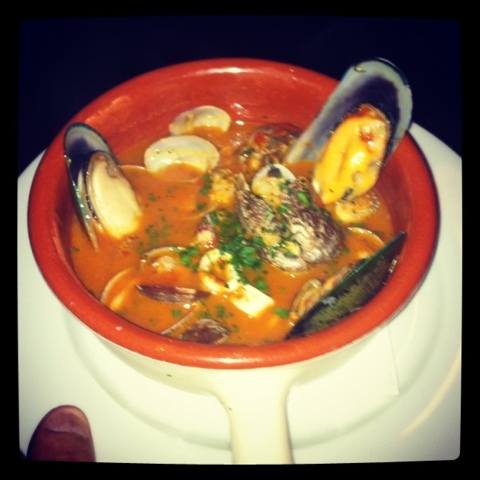 A few months working at the new La Starda Miguel decided that that was not the right fit for his family. It was at that point, that Miguel new journey started. Miguel went through many ups and downs, but, with one thing in mind, his family and his culinary talent would always be with him. 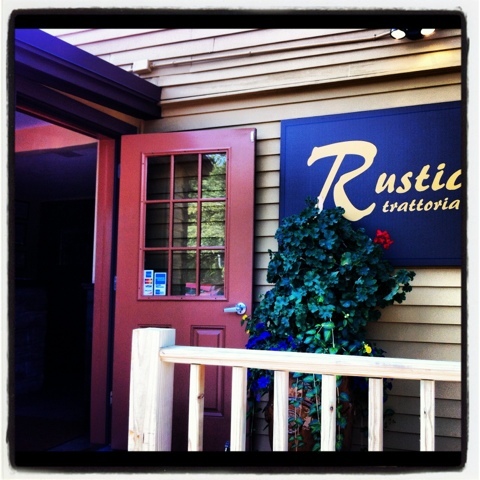 Today, Rustico (Westport) is the realization of his and his family’s dream. 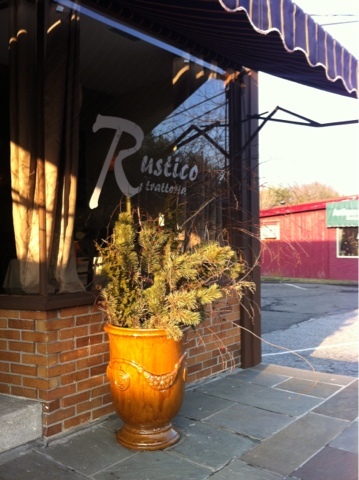 Today, Rustico is an extension of those fun vacations days. It is an extension of those special Sunday family day. Today Rustico is the extension of Miguel’s and his family’s fabulous kitchen table. Today, Rustico is that place where everyone is invited to come in, sit around the table and enjoy a good meal in the company of love ones. 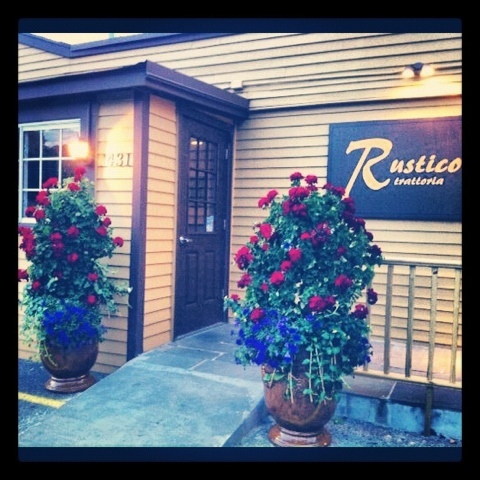 Today, Rustico is a place where family, companionship, friendship and respect will always speak first. Today, Rustico is the realization of Miguel’s dream, lifestyle and his family want to share their dreams. Everything is possible when you believe. Sorry everyone this is the best I can do for now. Once I get the picture file from the printing company I will put up a better version. SORRY, WE WILL BE CLOSED TODAY 1/15/2012 FOR A PRIVATE PARTY. We will come back to normal hours tomorrow. 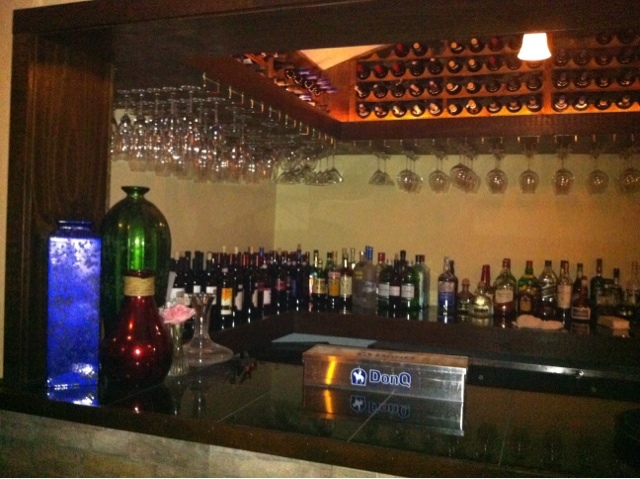 Our specialty is wine but we also have a full bar, and after a full house even we need a Cosmo. Cheers to that! !